We still don't have an idea of how far this really goes. Cambridge Analytica is closing up shop. Company executives continue to deny any wrongdoing and insist that the shuttering of both it and parent company SCL is due to the loss of business resulting from "sensationalistic reporting." Cambridge Analytica has been accused of improperly obtaining data on some 87 million Facebook users -- a revelation that has led to its removal from Facebook, a slew of changes to the social media giant's handling of user data and two congressional hearings. But the issues surrounding Cambridge Analytica aren't just going to disappear after it closes. Facebook and Mark Zuckerberg have put a lot of effort into placing the blame on Cambridge Analytica and its associates. They've removed the data firm from its platform, as well as others linked to it, like AggregateIQ, and have said over and over again how the policies that allowed for this particular incident to occur were fixed back in 2014. Even the tone of yesterday's F8 keynote was about moving on from Cambridge Analytica. While privacy was touched on at the beginning of Zuckerberg's talk, no new measures were discussed. He made sure to note how important it was to inform users of the company's privacy efforts before adding, "But we also have a responsibility to move forward." A responsibility to who is unclear. Even if the problems that led to Cambridge Analytica's acquisition of so much data have been resolved (and that's a big if), we still have no idea how far they spread before being addressed. When asked during his Senate hearing what other firms researcher Aleksandr Kogan might have sold his trove of Facebook data to, Zuckerberg wasn't able to answer. Similarly relevant questions also went unanswered when the U.K.'s Digital, Culture, Media and Sport Parliamentary Committee posed them to Mike Schroepfer, Facebook's chief technology officer. After his testimony last week, the committee was left wondering how many developers Facebook took action against between 2011 and 2014. There are also questions surrounding the company's NDA with Kogan and whether it might prevent the company from taking legal action against him, as well as who's leading the Cambridge Analytica investigation. And on top of all that, concerns abound over how many developers were using and selling data to third parties and whether Cambridge Analytica shared data with AggregateIQ. All of which are incredibly important bits of information to know if one is to truly understand the scope of data leaked from Facebook and how much of it might still be in use elsewhere. 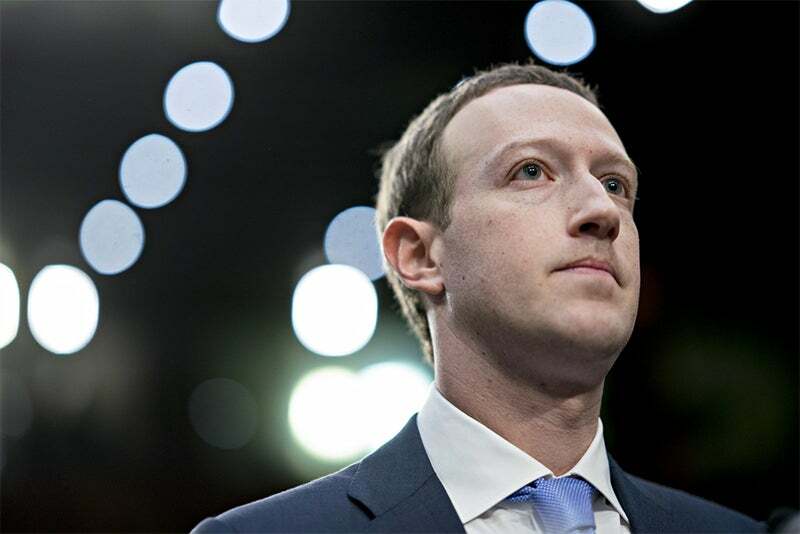 Facebook has said that it's conducting an audit of all of the apps that had access to large amounts of data prior to 2014 and that any found to have violated its terms will be removed. But the company hasn't shared how this audit process works or how third-party investigators missed Cambridge Analytica's violations in the first place. There are still more questions than answers. We have no real idea how big a problem Facebook created for itself and its users -- and we won't know until it starts answering the pressing questions that just keep piling up. The closing of Cambridge Analytica doesn't mean that much in the grand scheme of things. It's one company out of who knows how many. And since an incredibly large magnifying glass had been placed over it in recent weeks, we were at least able to get a look at its practices. The others -- and there are surely others -- are still hiding in the shadows, representing an unknown that, for now, only Facebook can bring into the light. And I don't know about you, but I do not find it comforting to know that onus is on them. For its part, Cambridge Analytica chose to double down even as its walls were crumbling. In a statement today, the company said, "Over the past several months, Cambridge Analytica has been the subject of numerous unfounded accusations and, despite the Company's efforts to correct the record, has been vilified for activities that are not only legal, but also widely accepted as a standard component of online advertising in both the political and commercial arenas." It also released a report from an independent auditor who didn't find the accusations to be "borne out by the facts." And it looks like many of the main Cambridge Analytica players have already made moves toward a new venture. Cambridge Analytica may be calling it quits, bowing out as customers flee and legal fees mount, but the fallout isn't over for Facebook. And it certainly isn't over for its users.